We seriously dread having to choose from fabulous ideas in a contest! This one just stood out to us though! Great job Stacy! Here she is to tell you how to keep the romance alive via long distance. 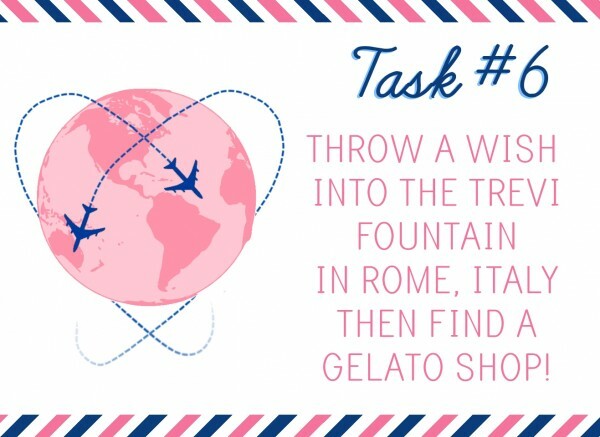 LADIES and GENTLEMEN, fasten your seat belts and return your trays to their upright positions, because we are sending you and your long-distance-lover-boy on a virtual vacay to EUROPE!! Are you totally stoked?? I am! The good news is, this date is totally man-approved! In fact, the idea came from my husband himself! My guy lived in Germany as a foreign exchange student twice as a teenager, then later spent two years in South America as a missionary and has travelled to a few other countries as well while he was abroad. He LOVES new places and cultures. Well, the poor guy met me in college and we haven’t had the time or funds to go on any big trips together. NOW he’s in medical school, and the idea of international travel is even more out of reach. (I mean, let’s be real, we call a trip to the grocery store “going out.”) So he has become mega-addicted to using Google Earth and Google Maps’ street view to satisfy his wanderlust. I often catch him clicking his way down the streets of some foreign country in the few spare moments he has. In fact, it’s definitely faster to list the places Google hasn’t recorded yet! And seriously, you don’t need to be a computer wiz. You just have to be able to read a map! So, how does this help you connect with your sweetheart when you’re miles apart? Well Honey, you’re gonna meet him in Europe. Virtually speaking. It’s a fancy-pants, new-fangled Skype date, with a fabulous little twist to it! I’ve got a sweet little invitation you can customize and then send to him (digitally of course!) 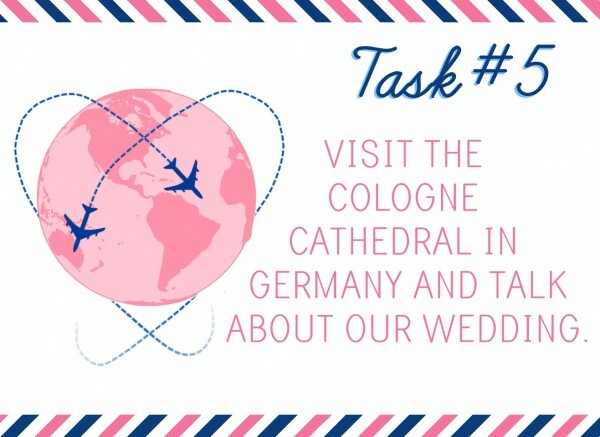 and a list of “tasks” for you to complete on your virtual vacation. And they’re totally cute too. Doesn’t this date sound fun so far?!? 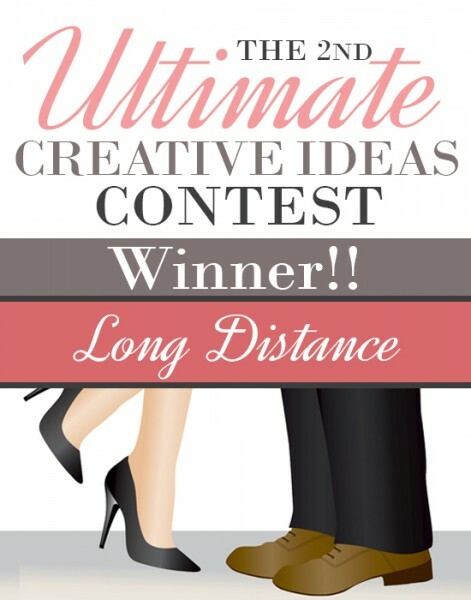 We also have even MORE great ideas for long distance relationships in Diva Central! Ok, back to this fun, virtual date! Are you ready for your TO-DO list? Save this PDF file somewhere on your computer where you can find it again. (I always choose “desktop.”) Open it up, fill out the form with your date/time, and then click “save as.” Change the file name if you’d like, then save it as a JPEG. (The file name should now end in .jpg instead of .pdf) Make sure that worked okay, and then it’s time to get it to your man! Attach the .jpg version to an e-mail, a text, FB message, whatever will get his attention! Next download these six JPEG files. Make sure they open up okay and that you can find them again later. It’ll be easiest if you place them all in a folder together. If you’re not already familiar with Google Maps, you may want to practice a little before the big night! HERE’S a demo of the basics! You just want to be able to change from aerial view into street view, and navigate down the streets. For example, here’s an easy way to find a certain kind of shop/restaurant within a particular region. 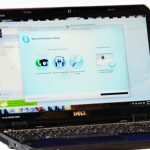 Also take some time to familiarize yourself with the features of Skype. HERE’S a tutorial on how to share screens on Skype. If you can learn how to do this ahead of time, it’ll make your date run smoother. The first thing we’re gonna do is open all the windows we’ll need tonight. Start by opening the folder with all your task cards in it. Make sure the folder only shows a list of file names, and not a preview or thumbnail of the cards! You should also get Skype and Google Maps up and running, then minimize all your windows. 2. Call him up on Skype! Once you have all your files/windows stashed within easy-click access, go ahead and dial up your sweetheart at the appointed time. Say your mushy hello, and then ask if he’s ready to go on your special date! Start the screen share. (Depending on which version of Skype you are running, you may have to switch to a voice-only call at this point to share your screen. And remember that only one person can share their screen at a time. So I suggest you start, and then take turns “driving” with the different task cards.) Now, minimize the Skype window but keep talking! You’re on a date! Double click the first task card from your folder so it opens up a preview. Read it together. 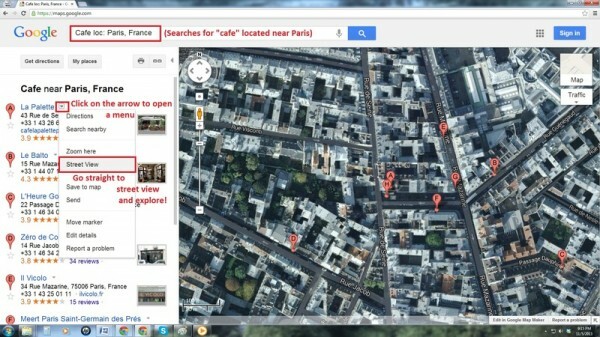 Now, open up your Google Maps window and complete the task! (Take your time and explore if you want; no one says you have to get through all the task cards in one night. Just make sure you’re both engaged and having fun!) Next, open a new task card and switch who’s sharing their screen. Lather, rinse, repeat! See the world together, and make up some more of your own tasks if you want. 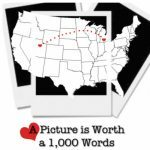 *A fun alternate way to do this date would be to a virtual road trip from your hubby’s location back home to you! Or pick a different country each time you play. Or “race” from your current location to a famous landmark. The sky is the limit! *For brownie points, make sure there’s a cute picture of you and your hubbalicious as your desktop background. He’ll get a glimpse of it during the screen share and it will make him feel all warm and fuzzy inside. *If your hubby is like mine, you may want to send a flirty reminder the day before so it doesn’t slip his mind. Or if you have regular Skype dates, you can make this a total surprise and have the evite waiting for him when he logs in! Cute! *Of course, this would also make a great date if you are not long-distance! 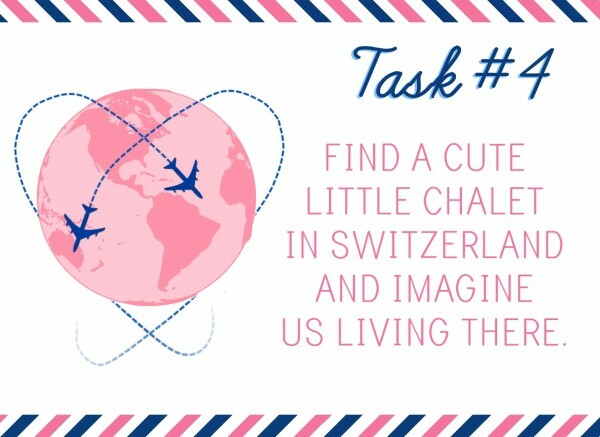 Print off the invite/task cards ahead of time, and then cuddle up in front of your computer screen and explore the world together from your living room. I hope this date helps you reconnect and make some good memories together despite the miles between you. Because hey, sometimes the miles between you have a lot of cool things to discover! Keep that love a-burnin!! 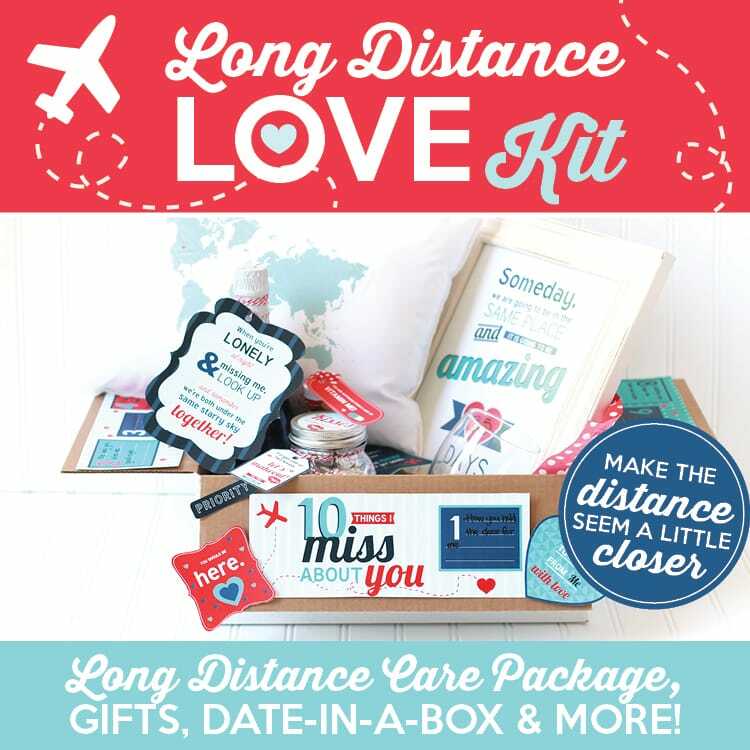 And if you’re in a long distance relationship- you should totally check out our Long Distance Love Kit! It’s packed full! 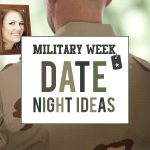 Including: a long distance relationship care package, long distance date in a box, a countdown tracker, long distance prescription gift, AND some long distance romance tips! CHECK IT OUT! I agree with Becca! 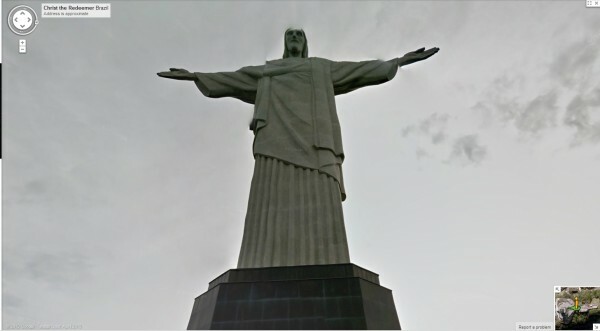 I had no clue Google Maps was THAT cool! Luckily, Jamie isn’t traveling a lot right now, so I don’t have to worry about any long distance date ideas right now… but if we ever ARE apart for a length of time, I am def going to remember this! 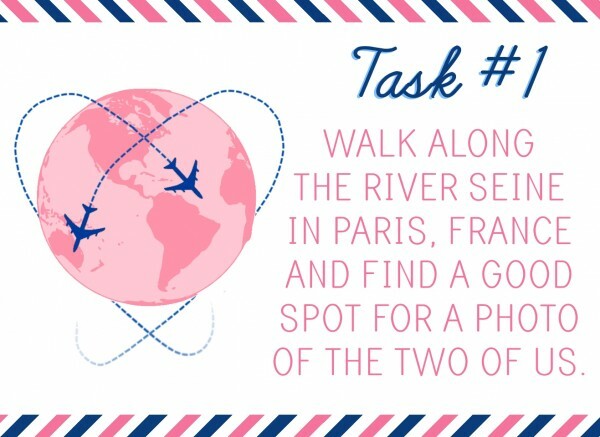 I also think this would be fun to do together – explore foreign cities from the comfort of our own home. Awesome idea! I just love it! 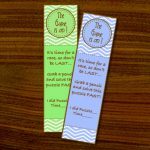 My husband is traveling this month…I can totally use this! This is brilliant! What a great idea! 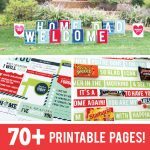 Love all of it – the tips, links, printables, and walk through. Thank you!! Very cute idea! Could be good for couples on a budget that live together too!